that occur as a result of an immigrant experience. Mouthful Of Silence examines the ideas of home and cultural belonging, as well as the history of the Russian Jewish diaspora, the Soviet ethnic repressions and the Holocaust through the lens of my family’s history and personal experience. The intent here is to recover and piece together the remains of a culture that have been lost or scattered across the world due to time, extermination, wars, and assimilation. The work in the exhibition references domestic objects from the my childhood, as well as photographs from my personal family collection, and historical archives of the Soviet government among others. 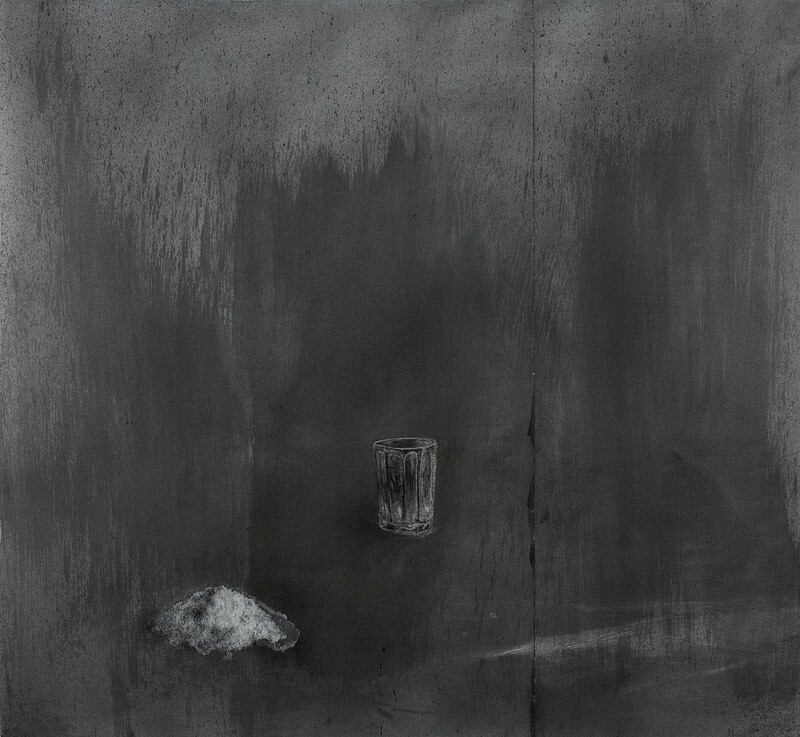 In these drawings and paintings, I allude to the hidden violence of the imagery through the physicality of the marks and the unsentimental surface treatment. The people portrayed are literally erased and disfigured. Their identity lost or destroyed. By combining drawing and painting with the use of such materials as salt, ash and gold, my aim is to extend the function of the pieces beyond nostalgic artifacts and into the containers of cultural memory. 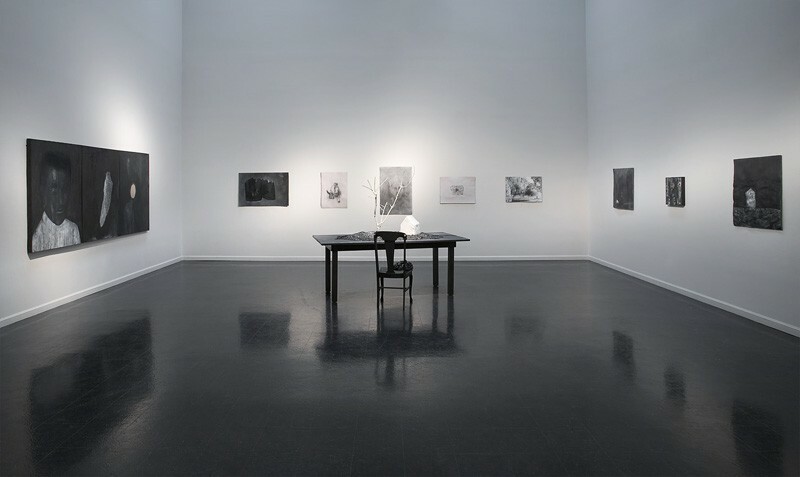 Mouthful Of Silence, installation overview, Art & Design Gallery, University of Kansas. March, 2009. 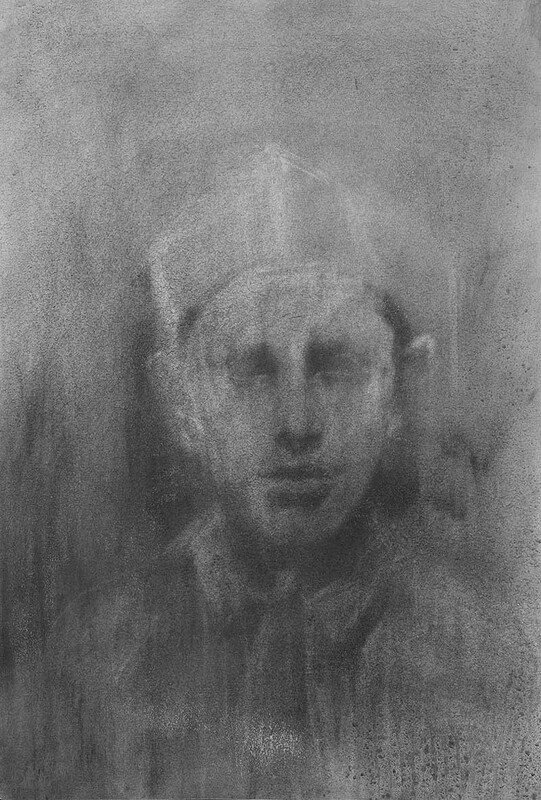 Young Pioneer, graphite, salt on paper, 2009. 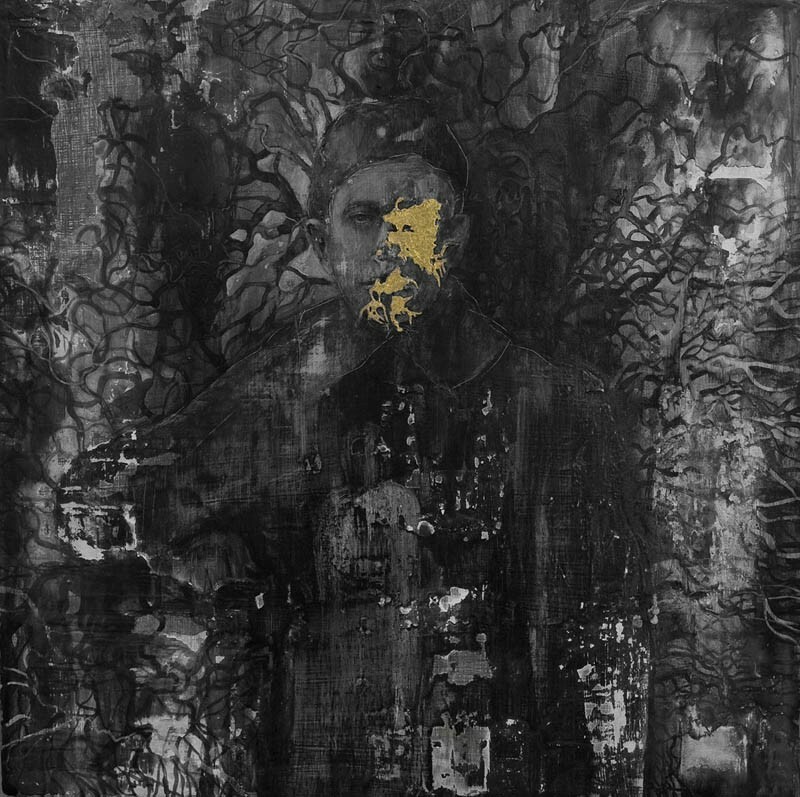 The Soldier, acrylic, graphite, gesso, plaster, gold leaf on panel, 2009. 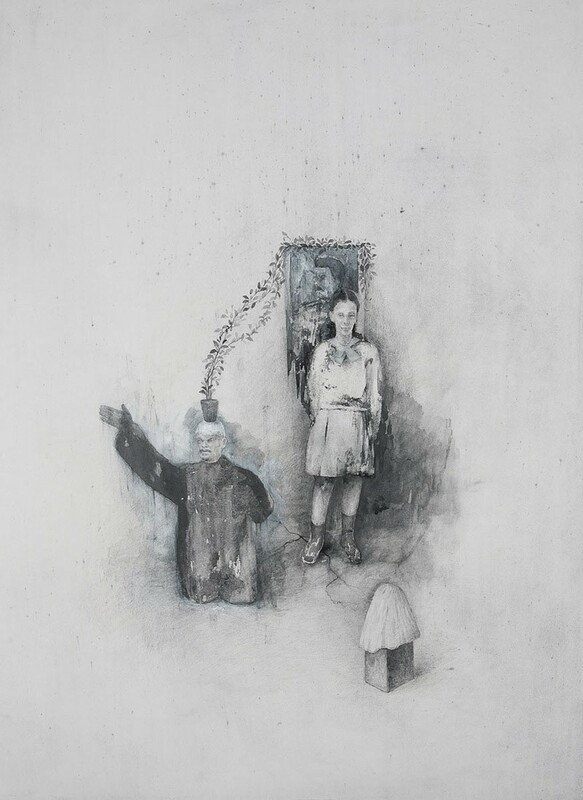 The Roots, graphite, acrylic, plaster, gold leaf on paper, 2009. 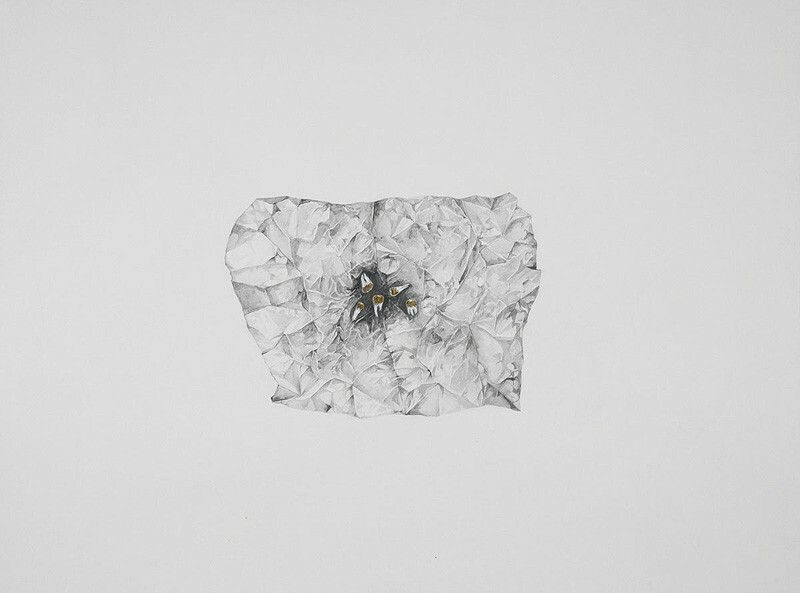 The Possessions, graphite, gold leaf, gesso on paper, 2009. 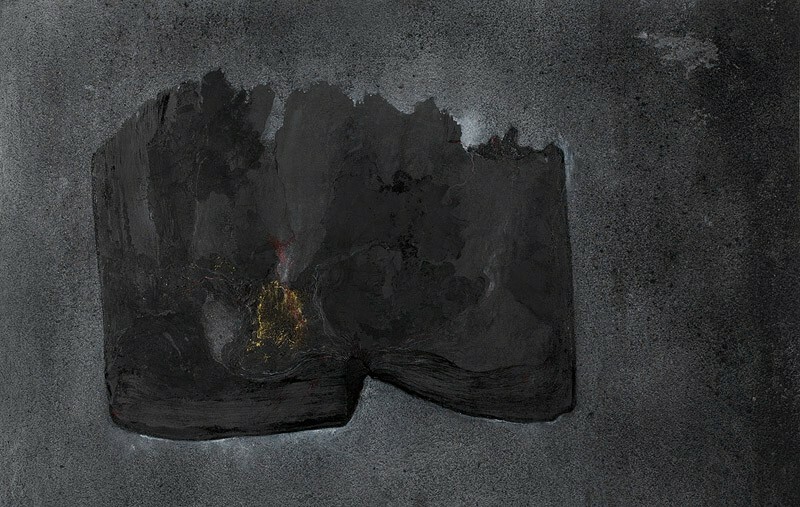 The Container, graphite, burnt book pages, acrylic, salt, gold leaf on paper, 2009. The Erased, graphite, gesso, acrylic, ash, salt, shellac, saliva, linen, thread on canvas, 2009. 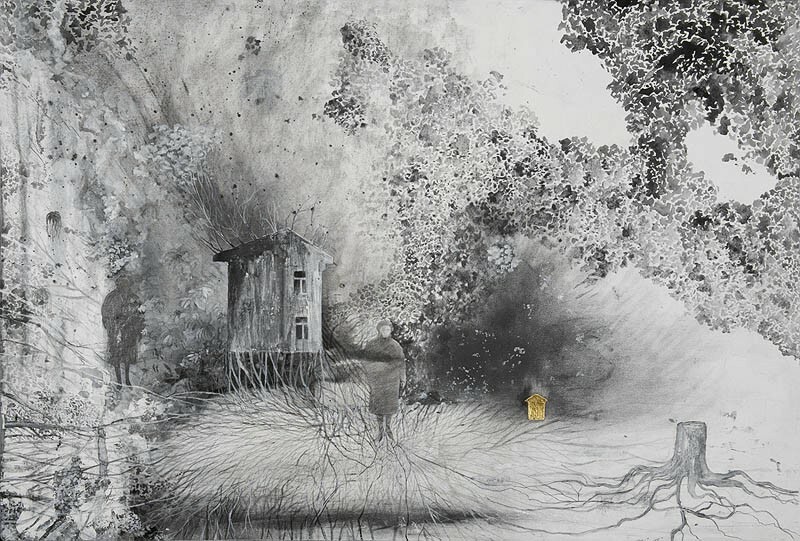 After The War, graphite, acrylic on paper, 2009. The Russian Still Life, graphite, salt, silverpoint on paper, 2009. 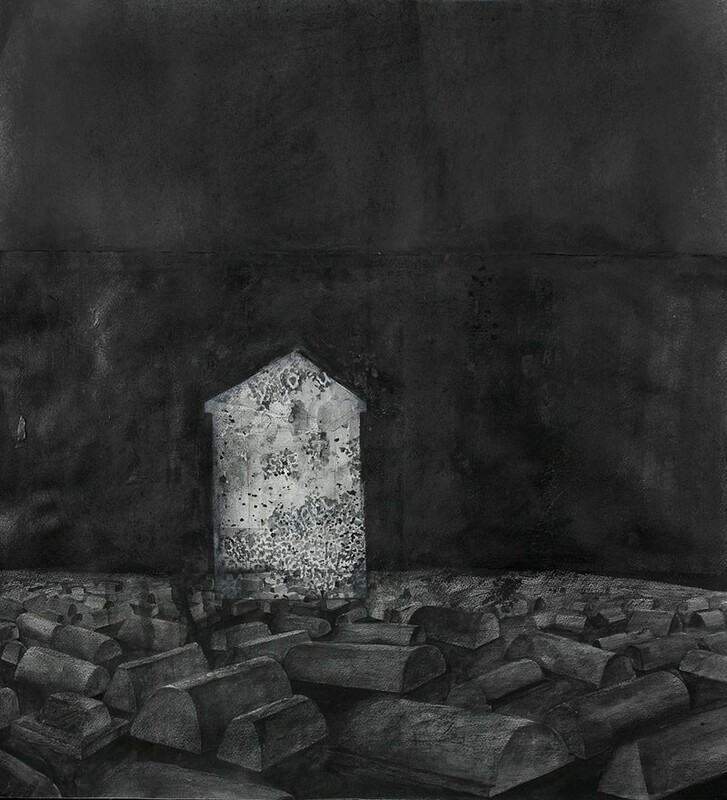 The Cemetery, graphite, acrylic on paper, 2009. 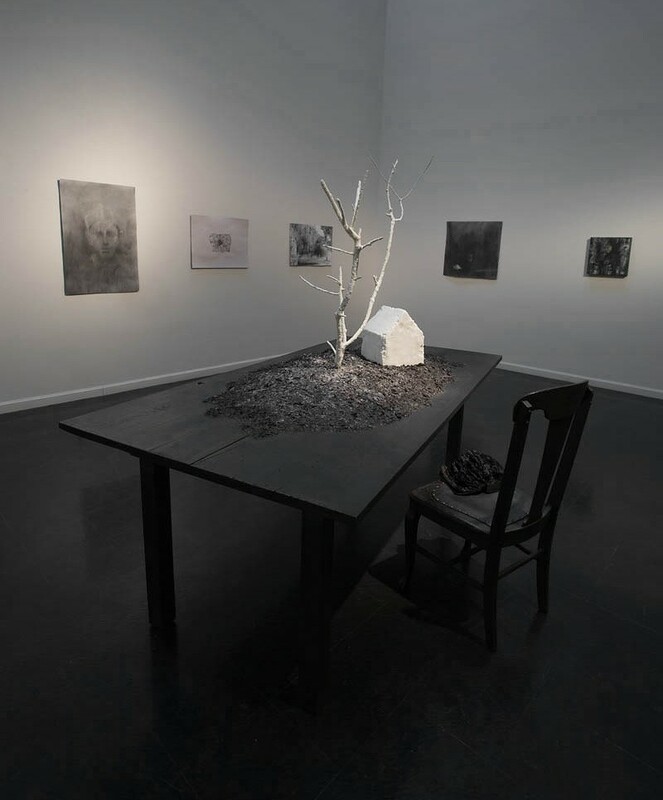 The Inescapable, wood, salt, ash, graphite, found chair, burnt book, burlap, shellac, 2009.